Awash in eye-popping colors–from its hand-painted art to glass jugs of tequila infusions–The Fruteria hit the restaurant scene in December with an equally bright bang. The fruteria by day/cocktail lounge by night concept works perfectly: Breakfast with fresh fruit smoothies and loaded tortas or an evening of sophisticated tequila cocktails and creative interpretations of dishes like Chef Johnny Hernandez’s mole blanco. Lunchtime, however, is not to be overlooked. 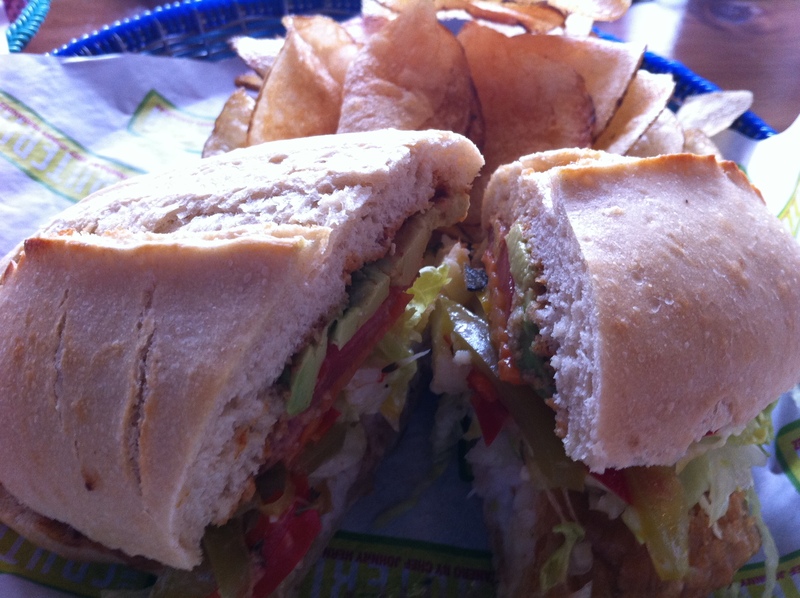 The pescado torta (fish sandwich) is one of the items that keeps bringing me back for lunch over and over. It’s an absolute delight. The sandwich is anchored by a luscious piece of Atlantic cold-water perch. Reminiscent of the fish caught in the deep waters of Veracruz, the fish is mild and just flaky enough to really melt in your mouth. 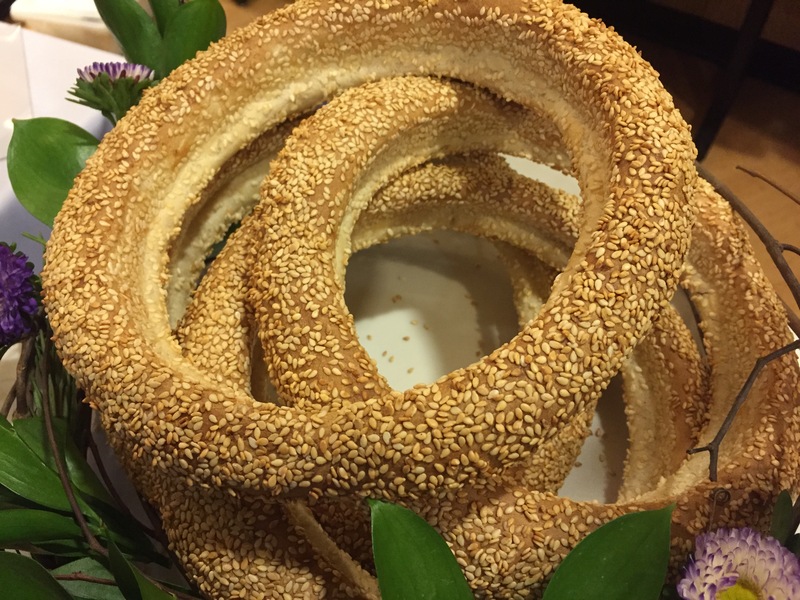 Yet it holds up really well in the sandwich and is an exceptional choice. The restaurant gives you the option of tempura-fried or grilled, but the tempura gives more flavor and crunch and is the clear winner to me. The overall flavor is balanced and subtle for such a deceptively hearty sandwich. If you get it to-go, it comes with a tiny tub of red hot sauce. Apply liberally. The pickled veggies inside (cauliflower and green, yellow and red peppers) give a nice crunch and burst of acidity. Hints of Mexican oregano are detected with each bite. Freshly fried ultra-thin potato chips round out the meal. It’s like a midday jaunt to coastal Mexico.